Cooking is not always something that comes naturally, I know I do enjoy it though. 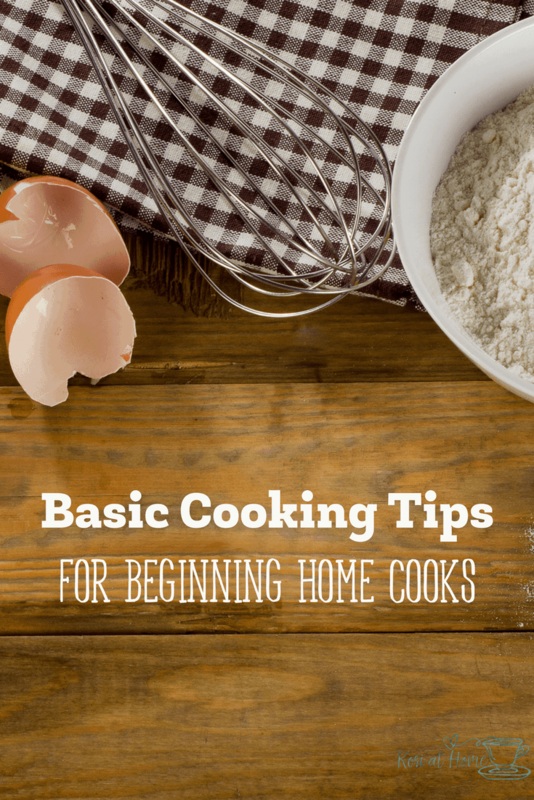 Here are a few basic cooking tips for beginners that may come in handy. I grew up watching my parents cook and through that I picked up cooking basics for beginners. And by the time I was 8, my mom was teaching me how to cook. I made my first meal, pork chops and rice, from a cookbook for kids. I was also learning how to bake, both independently and with my mom’s assistance. Cooking and baking have always been something that I’ve enjoyed and I look forward to sharing that with Squeaker. I’m fortunate that Kyle also knows how to cook so meal preparation isn’t just on me. We do enjoy cooking together as well and it’s become one of our favorite things to do as a couple. But what if you’re just getting started? Would you know the basics? 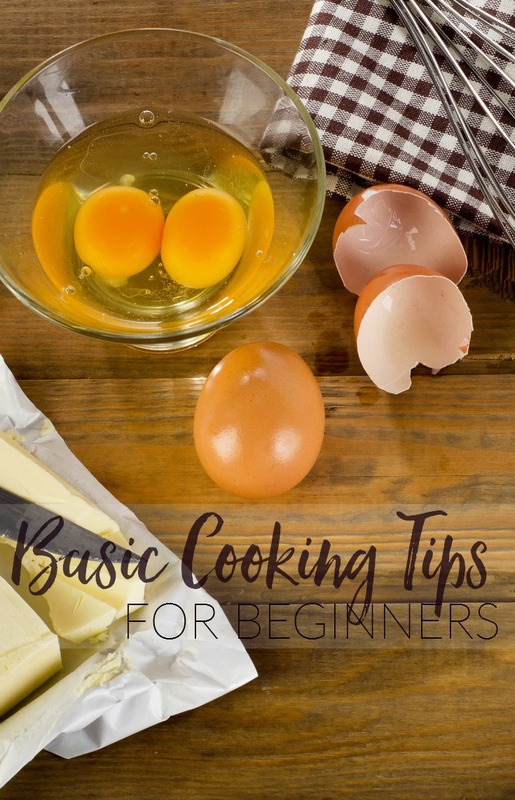 Take a look at these basic cooking tips for beginners and consider a few cookbooks that may help you along the way. Why start with simple cooking tips? Now, I am not a trained chef and I am certain no culinary gourmet in the kitchen. I’m a home cook. I cater to my tastes and those around me. I also need to make sure that my creations are toddler approved and family friendly. Sometimes, it’s helpful for me to refer to these simple cooking tips so I can do just that- keep it simple and build from there. Not only do you need to begin with the basics when it comes to cooking but you almost need to begin again when learning to cook a new cuisine such as Chinese, Thai, or Indian food. This means that at any given time in your cooking learning cycles there is quite probably someone somewhere that is better and/or worse at cooking than you. Take heart from this because even the best have bad days when it comes to cooking. There are many people who cook for different reasons. Some cook in order to eat and survive while others cook because they actually enjoy the process of cooking. Some cook during times of emotional upheaval and others cook out of sheer boredom. 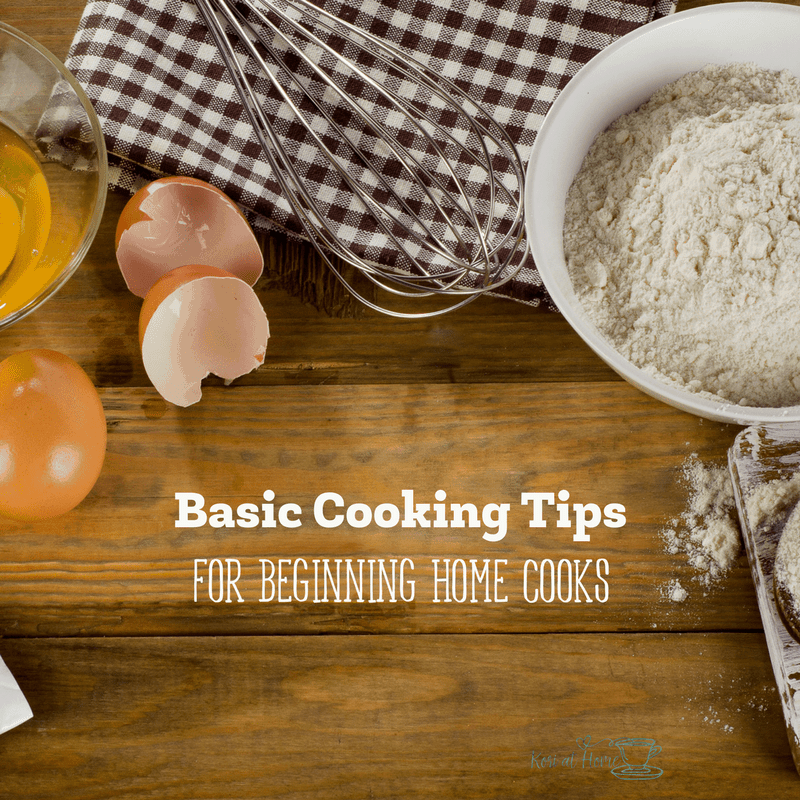 Whatever your reason for cooking or learning to cook you should always begin with the basics. The first thing that you need to learn is what the different terminology you will find in recipes actually means. There are many new and sometimes foreign sounding terms that you will find in common recipes. These terms can mean the difference in recipe success or failure. You should be able to find a good section in any inclusive cookbook that explains the different definitions for unfamiliar terminology. If you aren’t absolutely certain what is meant by “folding in the eggs” it is in your best interest to look it up. Another great bit of advice when it comes to cooking basics is to try simpler recipes for a while and then expand your horizons to the more complex recipes that abound. Most recipes will have a little note about their degree of difficulty and you can read through the recipe to see whether or not it is something you are interested in preparing or confident that you can prepare. Remember Rome wasn’t built in a day and it will take quite some time to build a reliable ‘repertoire’ of recipes to work into your meal planning rotation. The good news is that once you’ve learned the basics of cooking it is unlikely that you will ever need to relearn them. This means that you can constantly build up and expand your cooking skills. As you learn new recipes and improve your culinary skills and talents you will discover that preparing your own meals from scratch is much more rewarding than preparing prepackaged meals that are purchased from the shelves of your local supermarkets. You will also discover as your experience and confidence grows that you will find yourself more and more often improvising as you go and adjusting recipes to meet your personal preferences. If you prefer more or less of ingredients or want to make a recipe a little more or less spicy in flavor you can make simple adjustments along the way in order to achieve this goal. In other words you will begin in time to create recipes of your very own. And that is something you won’t necessarily learn when it comes to basic cooking skills for beginners but you would never learn if you didn’t master those basic cooking skills. One other important thing to keep in mind? Don’t expect miracles in the kitchen if it’s your first time. Even if you’re following a recipe step by step; there’s still no guarantee of culinary genius. And that’s okay! Make mistakes and experiment until you find the taste that’s right for you. Start with the basics and then just go from there. Do you have any essential cookbooks that you can’t cook without? What basic cooking tips would you share for a beginning cook or aspiring home cook?